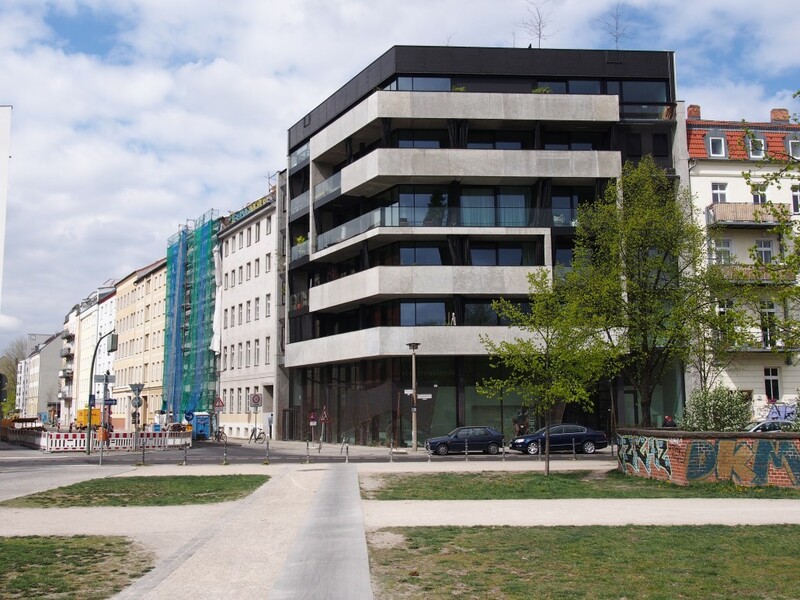 Passivhaus Engeldamm (PHED) is a mixed-use multifamily and office building in the Luisenstadt neighborhood of Berlin. 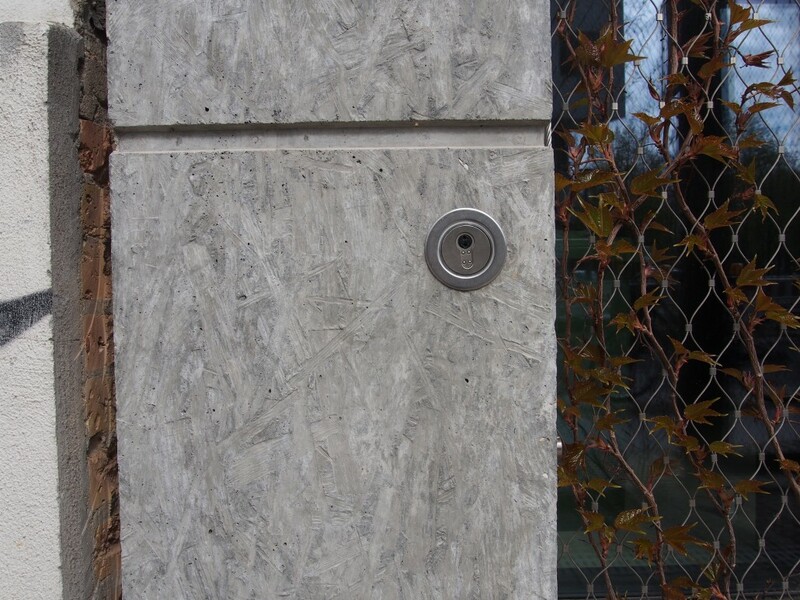 Glass and concrete may seem like unusual materials for a “green” building, but it shows the design freedom of the Passive House Standard. 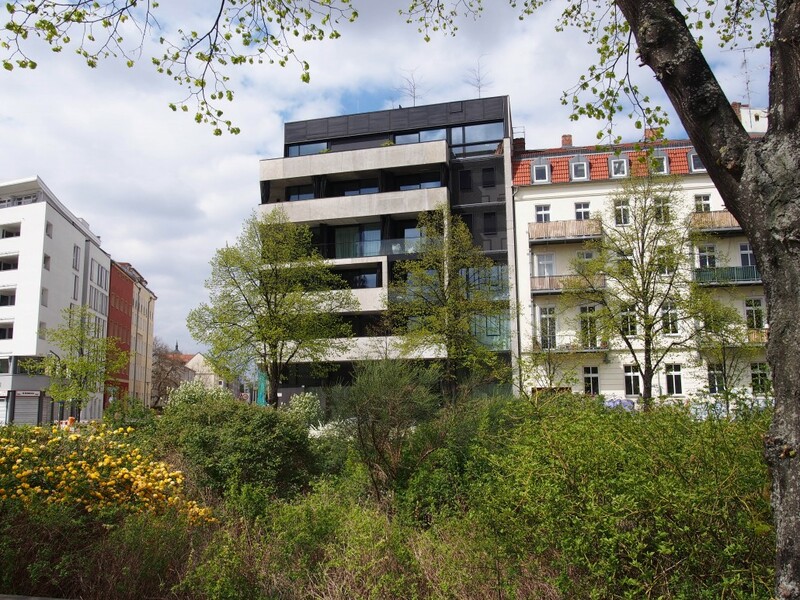 The apartment building faces a beautiful park where the Berlin Wall used to divide the city. Unfortunately, economic divisions continue, and anti-gentrification protesters vandalized the building a few years ago. The concrete balconies have a nice texture from the OSB formwork. 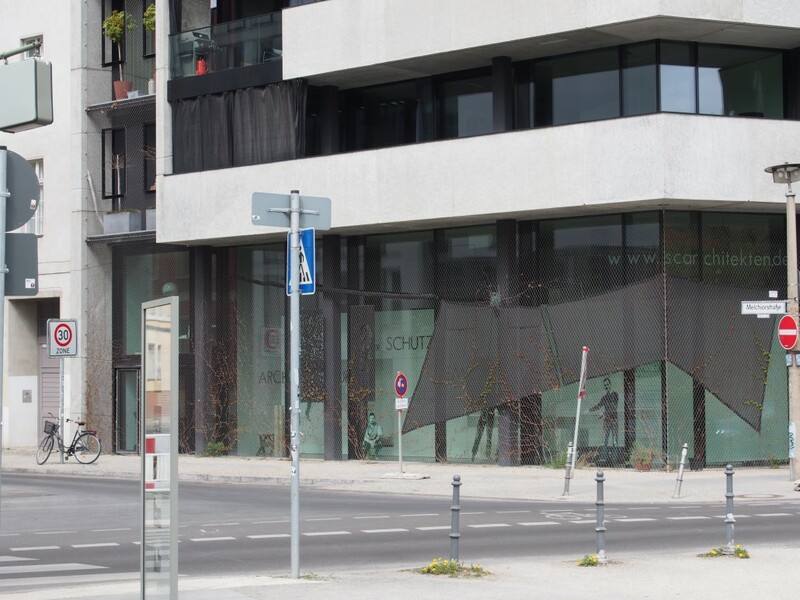 The building’s architects, Scarchitekten, have their offices on the ground floor.